This is a cleaned, thoroughly tested and sealed Printhead. 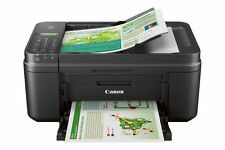 OFFICEJET 8600 PLUS OfficeJet 7500A E910A. 1 x PrintHead. OFFICEJET 8600. HP Officejet Pro 8600 N911a. HP OFFICEJET 8100. HP Officejet Pro 8600 Plus N911g. 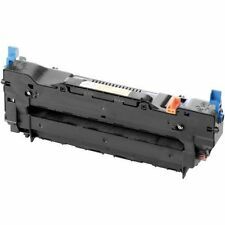 Genuine HP 564 5-Slot Print Head CB326-30002 CN642A for PhotoSmart Series Printers. PhotoSmart C6375 PhotoSmart C6380 PhotoSmart C6383 PhotoSmart C6388 PhotoSmart D5445 PhotoSmart D5460 PhotoSmart eStation All-in-One. Work with: Samsung CLX-3300, CLX-3305, CLX-3305FN, CLX-3305FW, CLX-3305W, SL-C460FW, Xpress C460FW, Xpress C460W CLP-360, CLP-365, CLP-365W, SL-C410W, Xpress C410FW, Xpress C410W. Page Yield: NA. Product Type: Paper Tray. 1pc Cyan/Magenta C4901A for Office Jet Pro 8000 8500. 1pc Black/Yellow C4900A for Office Jet Pro 8000 8500. HP OfficeJet Pro 8500. HP OfficeJet Pro 8500 Premier. HP OfficeJet Pro 8000. HP OfficeJet Pro 8500 Wireless. High Quality&All Tested &Fast Free Shipping From CA !!! Adapter OPI Studio LED Light GL901 Gel Lamp Dryer 100-240V Power Supply NEW!!! OPI Studio LED Light GL901. Output: 29.4V/2A DC. - High quality and easy to use. 5 out of 5 stars - Adapter OPI Studio LED Light GL901 Gel Lamp Dryer 100-240V Power Supply NEW!!! 6 product ratings6 product ratings - Adapter OPI Studio LED Light GL901 Gel Lamp Dryer 100-240V Power Supply NEW!!! 35 mm film holder made for Nikon Coolscan Scanners - FH-3 Replacement! 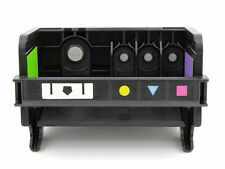 This is an 35 mm film format negative holder for use with the Nikon Coolscan scanners. (US Patent Pending). Works with the following Coolscan models: LS-40, LS-50, LS-4000, LS-5000, V ED.This holder requires use of the MA-20 or MA-21 slide mount adapter. US Seller&Free Shipping, High Quality&All Tested!!! 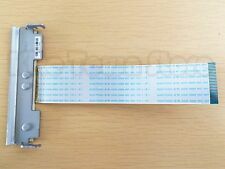 Genuine HP920 Printhead 4-slot for HP 6000 6500 7000 7500A B210a. HP 920 printhead CD868-300001(This is 4-slot print head). 1 x HP 920 Printhead. Good quality, good operation. We keep our promises that we will provide you with the best solution within 24 hours. MPN: CB326-30002 CN642A. PhotoSmart B8500. PhotoSmart B8550. PhotoSmart B8558. PhotoSmart B8553. PhotoSmart C310a. PhotoSmart C5300. Photosmart C410a. This upgrade includes a modified thermal barrier tube and modified nozzle. Thermal barrier tube is made from 2 different materials. The lower thermal break is made from stainless steel, and the colder upper part is made from aluminum. HP OfficeJet Pro 6100 6600 6700E 7110 7610 Printer. This is a cleaned, thoroughly tested and sealed HP Printhead. 1 x HP Printhead. Note when changing the nozzle I will give you a satisfy solution. C4900A C4901A. New HP 940 Magenta - Cyan Print head C4901A. 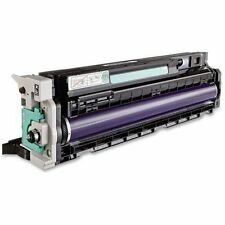 New HP 940 Yellow - Black Print head C4900A. HP Officejet Pro 8000 8500 All-in-One Printer. Part Number. 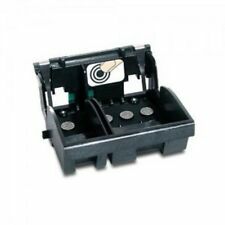 QY6-0083 print head FOR CANON MG6350 MG6380 MG7180 IP8780 MG7150. 1 X CANON QY6-0083 printhead. If you buy the wrong products, plese inform us as soon as possible. Defective products can be changed during the warranty. This ad is for a NIB Brother PT-M95 Label Maker This is a new, never used item. This label maker uses M tape. Fits Anet A8 and most of I3 MK2 MK3 Heated Bed 3D Printers w/ 220mm X 220mm print platform. Glass is a universal print surface for 3D Printing. Just place the glass on your print board and clip it in place! (Deep clogs or "sludge" may take up to an hour to clear). 1 500ml bottle of cleaning fluid (18 fluid ounces). 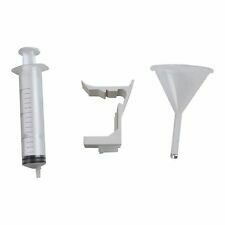 Printer Cleaning Kit Cleaner Flush. If you haven't used your printer in a while or if you go awhile between printing, your print heads could have dried ink, dust or debris clogging them. Model : AD10110LF. and G940 Flight System. G25, G27, G29, G290. GENUINE LOGITECH. LOGITECH PN: 534-00688. Fit Logitech Racing Wheels. AC Adapter. POWER CORD INCLUDED. Used for: Brother HL3140 HL3150 HL3170 MFC9130 MFC9140 MFC9340 DCP9020. Item Included: 1xUpper Fuser Roller. SKU#: Printer Fuser 01. Condition: New&100% works as genuine and High Quality. For: Canon iP7220 iP7250 MG5420 MG5440 MG5450 MG5460 MG5520 IP7240 IP 7210 ip7250 MG6440 MG5550 MG6420 MG6450 ,TESTED IN GOOD WORKING SITUATION. We promise we will do our best to serve you. For:Canon MX922 MX725 MX722 IX6820 MX727 MX925,IX6780 IX6810 IX6880 MX720 MX721 MX920 MX726 MX728 MX928 MX924. Print Head QY6-0086,TESTED IN GOOD WORKING SITUATION. We promise we will do our best to serve you. Trending at $76.98eBay determines this price through a machine learned model of the product's sale prices within the last 90 days. Print Head Printer Officejet Tool For HP 920 6000 7000 6500 6500A 7500 7500A. Most common printers that use this printhead are For HP 6000, 6500, and 6500A. Suitable for HP 920 Officejet 6000 7000 6500 6500A 7500 7500A printer. CONDITION: Fuser is 100% Remanufactured with NEW parts. We will enclose a. Manufactured specifically for HP printers. All you have to do is send us an inquiry and we will respond to it. HP LaserJet 4240, 4240N, 4250, 4250N, 4250TN, 4250DN, 4250DTN, 4250DTNSL, 4350, 4350N, 4350DTN, 4350DTNSL. 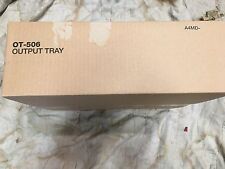 For HP LaserJet CP1025nw printers. 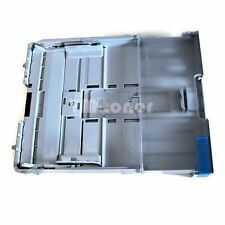 564 5-Slot Print Head CB326-30002 CN642A for HP PhotoSmart 7510 7520 7515 7525 Printers. PhotoSmart B8500. PhotoSmart B8550. PhotoSmart B8558. PhotoSmart B8553. PhotoSmart C310a. PhotoSmart C5300. Photosmart C410a. 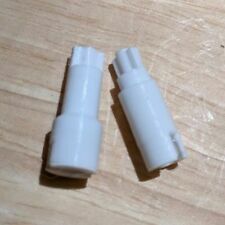 Tubing if need to get into printhead. -50ml Cleaning solution for printhead. Just try to use This smart tool kit to refill with ink into the printer head ,it may Save and Revitalize your print head. V515w All-In-One, V715w All-In-One. New other: Print Head For Dell P513w. P513w All-In-One, P713w All-In-One. 1 x Print Head For Dell P513w. V313 All-In-One, V313w All-In-One. Dell Printer Series 21 22 23 24. This is a cleaned, thoroughly tested and sealed Printhead. Kodak ESP 6150. Kodak ESP 5250. Kodak ESP Office 6150. Professional Manufacturer refurbished: Print Head For Kodak 10 Series ESP 3 5 7 9 5100 5300 5500 3250 5250 6150 7250. 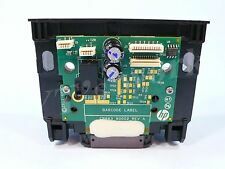 New Genuine HP 932 933 Printhead CB863 for OfficeJet Pro 6100 6600 6700E 7110 7610. 1 x Genuine HP CB863 HP932 933 Printhead for OfficeJet Pro 6100 6600 6700E. This printhead should be handled with care by professionals. This is a standard male to male USB 2.0 cable with A-type connection on one side and B-type on the other. This is typically the style of connection found on the backs of PCs. USB 2.0 cables are backwards compatible as they can carry a USB 1.0 and 1.1 signal. 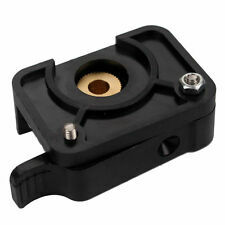 This holder will work on the following scanner models This negative holder will also work with 16 mm movie films. You may need to cut your film to adapter length for proper use. Photo above shows disassembled two halves of the adapter. Premium Printer Cleaning Kit Cleaner Fluid. Just calculate the savings. Imagine the possibilities! Our most precious resource! Included in the Print Head Cleaning Kit are: 125ml ( of specially formulated printhead cleaner! ). Never clean you printhead again! At this price you can just replace them with new HP OEM printheads for factory new performance. GenuineHP CR280A PHOTOSMART 6500 Series PRINTHEAD ASSEMBLY. 10ft SuperSpeed USB 3.0 Type A (M) to USB 3.0 B (M) Cable (Black). Use this cable when you want the fastest transfer speeds between your computer and external device. 1pc 10ft Super Durable USB 3.0 A-Male to B-Male Cable. Compatible printers: Brother All-in-One Machines DCP-L2520DW, EHLL2380DW, EMFC-L2740DW, EMFCL2700DW,HL-L2340DW, HL-L2380DW, MFC-L2720DW, MFCL-2740DW, Brother Laser Printers EHL-L2305W, EHL-L2320D, HL-L2360DW, HL-L2360DW Brother Mono Laser Printer Refurbished, HLL-2320D. PiXMA iP100. Bluetooth Adapter ,Substitute Canon Bluetooth Unit BU-30. (It is possible that the Apple computer is not compatible). Canon SD1100. PIXMA MX432 Wireless. PIXMA iP7220. PIXMA MX850. PIXMA MX439. 1,It is the economical version of MKS GEN V1.4. 3, the user can replace the motor driver, support 4988 driver, 8825 drive, TMC2100 drive. 4, reserved external drive signal, can be an external large drive to drive 57,86 motor. This is not 951 printhead. It is 952. (depending on model) If you use your printer a lot, this will happen quicker than you would expect. A counter records this and after so many head cleans, the printer firmware will “. Extruded from odorless and impact resistant PETG, With a flexible and transparent wall, they provide a protective and clear view of the waste ink. For HP OfficeJet 932 933 XL HP OJ 7110 7610 6100 6600 6700 series Printer. HP 950 HP 920 (new other) HP 920 4 Color 862/564 5 Color 564. Products with test solution and protective solution, do not mind if you want to buy. Part Number: P P1028902. HAWAII, Puerto Rico & ALASKA will cost extra.